We are thrilled to announce Vincent Dawson’s appointment as Africa Business Development Manager. 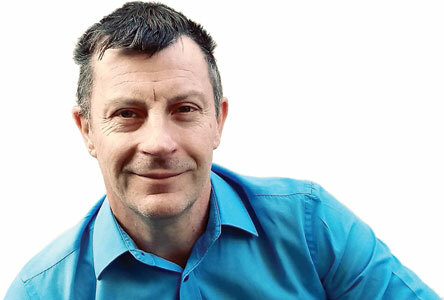 LEAD views growth outside South Africa’s borders as a strategic priority and to this end have appointed Vincent to the position of Africa Business Development Manager. Vincent is widely experienced in the equipment supply industry and has many years of experience dealing in Africa. He is tasked with running the necessary service and sales channels in all sub Saharan African countries, so as to ensure our customers enjoy the world class service they deserve, regardless of where they are situated..
Building long term relationships and providing solutions in Africa are what he is passionate about. Please welcome Vincent to our family! After completing his Military Services as a second Lieutenant with Ordinance Services, Vincent left his home town of Dundee in KwaZulu Natal and took his first job in Johannesburg. After a year with Pick ‘n Pay Boksburg as a Receiving Manager, he joined the Linger Longer Group, in order to study Interior Design part time. Two years later, with studies completed, and rising to assistant Manager of the flagship Linger Longer restaurant, he left for the UK, where he worked in pubs, and cycled most of Europe on his bmx. After a year he returned to SA and started a 4-year Industrial Design course at Wits Tech in Doornfontein. During this time he and some class mates started a design consultancy, Wishbone Studio. Doing a variety of design work, patents, shop fitting and below the line advertising campaigns which attracted a few Lourie and SABS prototype awards! After 5 years each partner decided to pursue activities in IT or outside SA. Vincent left for an internship with Prime Studio in New York, and then spent 3 months travelling the US and visiting Design schools and businesses. Pictured left: Vincent, his lovely wife Malinda and their boys Mailikai and Samulai. Returning to SA, Vincent was approached by Smart Scape to head up the Design Department with the development of rear projection media screen systems. Within a year the dot bomb crash shutdown operations and he decided to get a formal business qualification from Wits Business School. With a PDM in Business Administration came a career change into sales with Terrapin doing conferences, then into Brand Management with Amalgamated Appliances, the highlight being meeting George Foreman during the Foreman Griller campaign and introducing the Russell Hobbs range. In this period, I met my wife Malinda, and married into the Chinese community, embracing new customs and new food! In 2004 an opportunity arrived to get into the rare field of furniture design, so he joined Highpoint Furniture, a division of the Steinhoff Group. Vincent recalls… “These were the great days of credit, with orderbooks closed in July!” As head designer, he started travelling to China and Europe to source fittings and attend trade shows. He also began introducing flat pack furniture to the South African and Zambian market. His son Mailikai was born in 2009, at their loft in downtown Johannesburg, and it wasn’t long before he had a drill in his hands. After 6 years with Highpoint and staying in Langlaagte, Vincent took up the position of New Product Development Manager at Vulcan Catering Equipment and headed up the R & D Department for the next 4 years. During this time, he worked closely with Nando’s and Famous Brands on custom equipment to enhance the now popular theatre cooking environments of fast-food outlets. Studying part-time for 4 years, he acquired his IMM degree in Marketing Management and moved with-in Vulcan to the Sales Department to a challenging position of East Africa Sales Consultant. Shortly before this move, he and his family relocated to Fellside, where his second son Samulai was also born on another building project! After 4 years of Africa Sales and 8 years in total working with Vulcan, Vincent accepted our offer to head up the development of our African business.